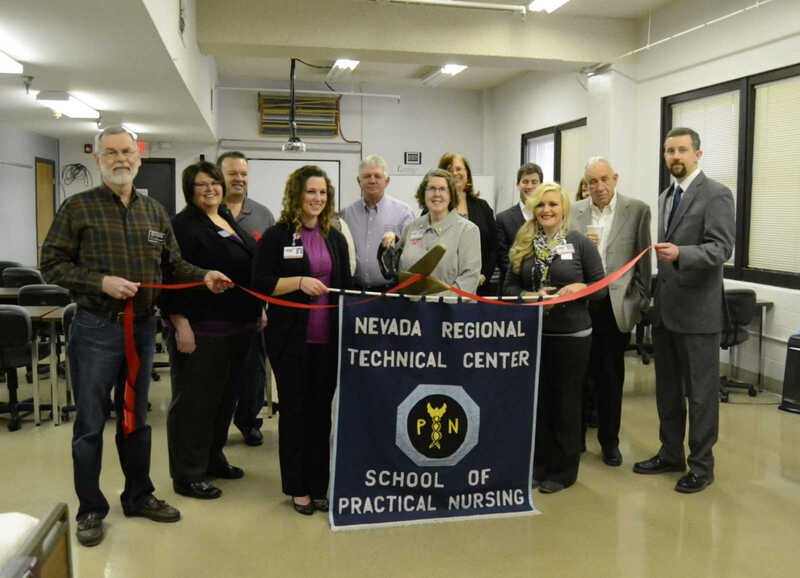 Director Joanna Perkins cuts the ribbon for the Practal Nursing program's 50th anniversary Friday. From left, Ron Schowengerdt, Leva Richmond, Bill Fleming, PN Instructor Kerenza Frame, Frank Arnold, Director Joanna Perkins, Chris Mosbrucker, Ross Lawrence, PN Instructor KA'Sandra Leer, Jerry Whitson and Phillip Witt. 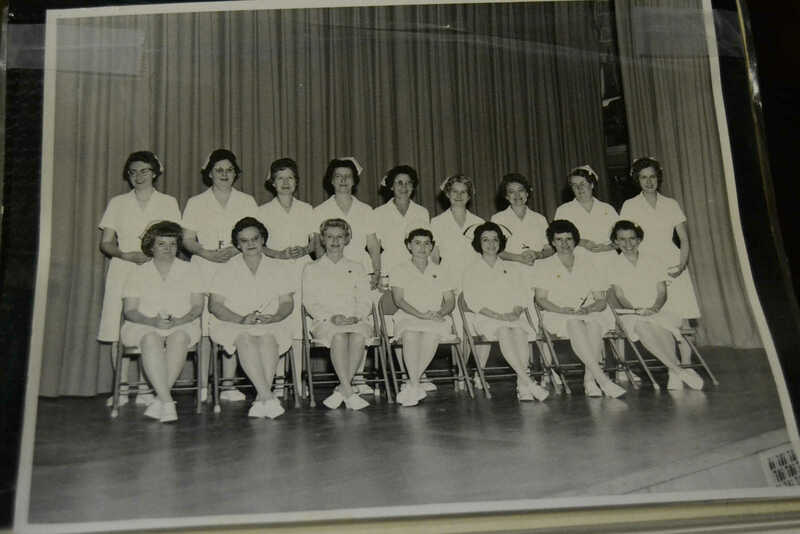 Cindy Miller, Director of Nursing Moore-Few Care Center, presents Director Joanna Perkins a plaque celebrating the 50th anniversary of the Nevada Practical Nursing program Friday. 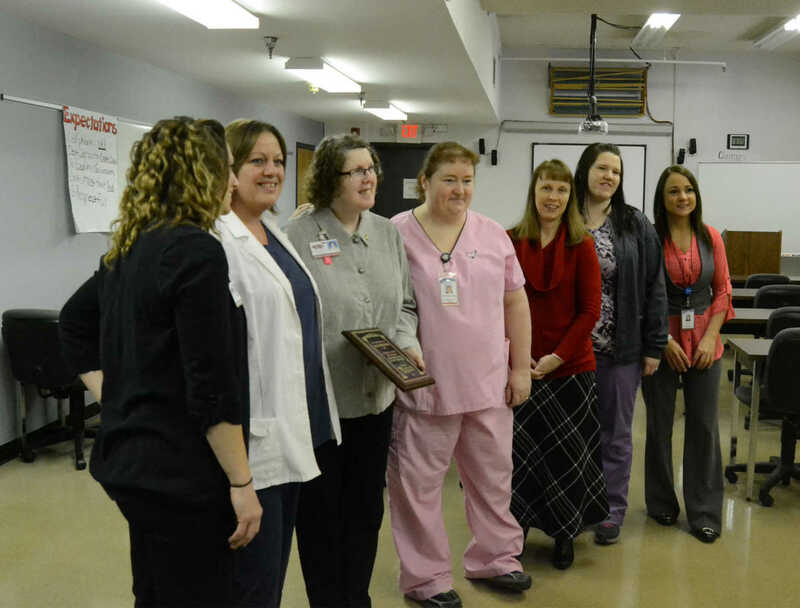 From left, Karenza Frame, Instructor PN Program, Miller, Perkins, Carmen Pike, Assistant Director of Nursing MFCC, Angela Barrett, Business Office Manager, Alisha Pryor, MDS Coordinator MFCC, and Lorina Foreman, Marketing Coordinator MFCC. 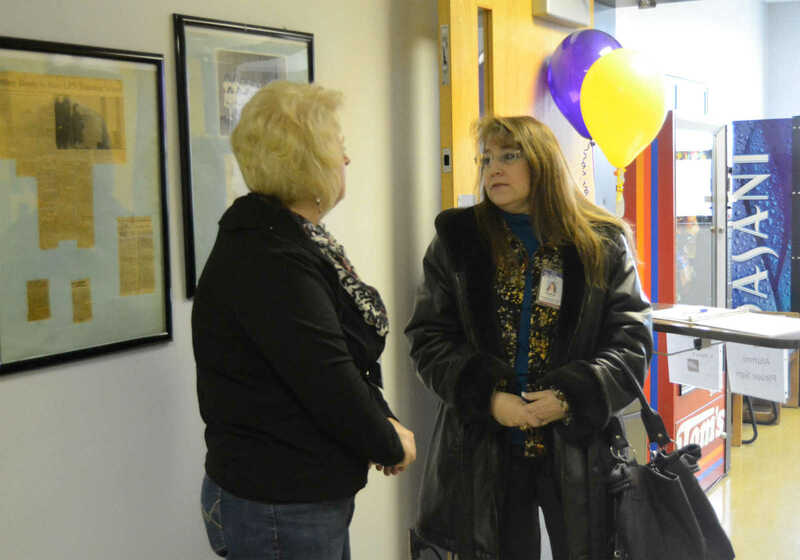 Diann Marti and Heather Brockmyer chat at the 50th anniversary of the Nevada Practical Nursing progam Friday. 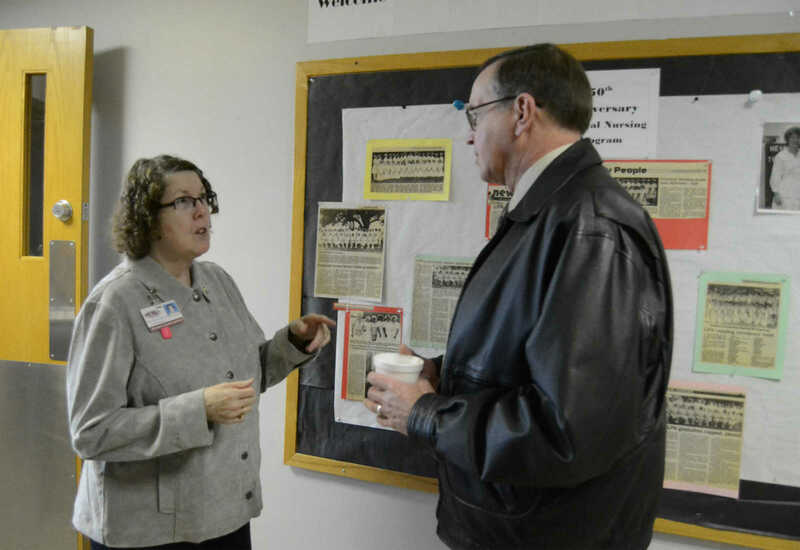 Director Joanna Perkins and Cory Vokoun chat at the 50th anniversary celebration of Nevada Practical Nursing program Friday.